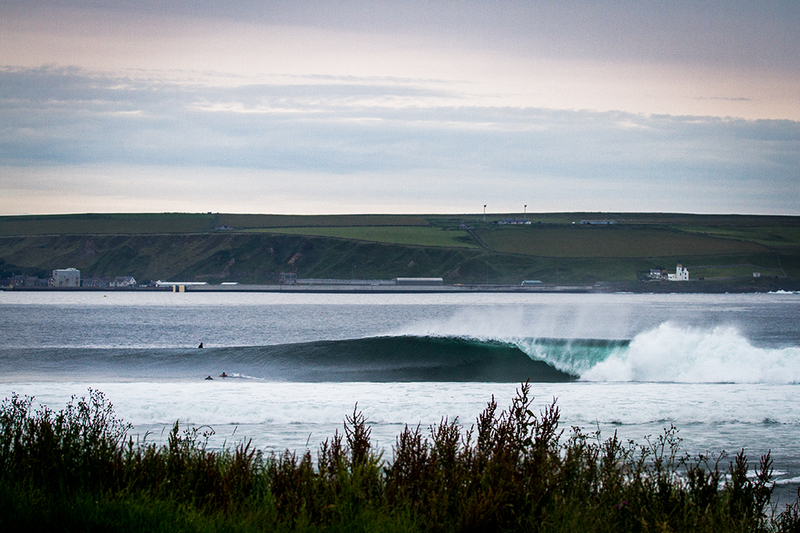 It’s a rare and beautiful thing when good waves, good light and a sparsely populated line up combine in the UK. To bare witness to such a moment takes much effort; days of pouring over ever changing forecasts, hours of planning and travel and, of course, a serious amount of luck. Here are 7 such moments accompanied by a brief story about the circumstances that lead to their capturing. 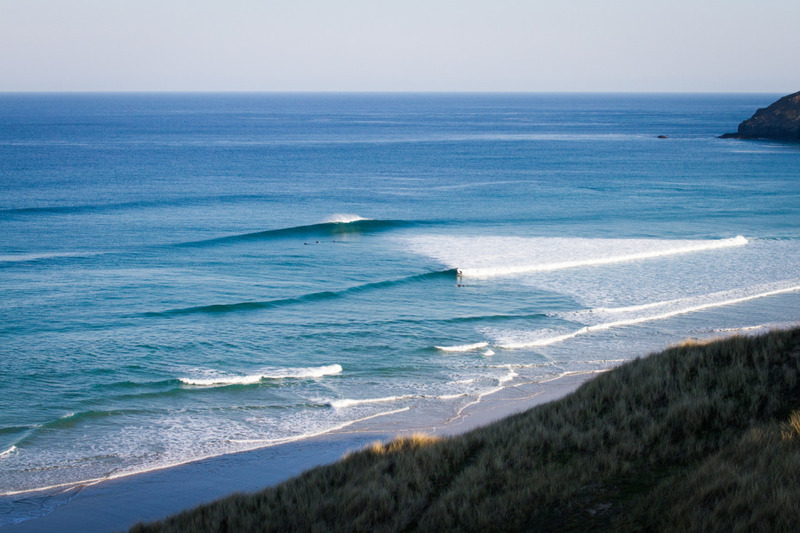 A perfect a-frame breaks over a particularly good bank during a run of sun, swell and offshore winds in Cornwall last Spring. 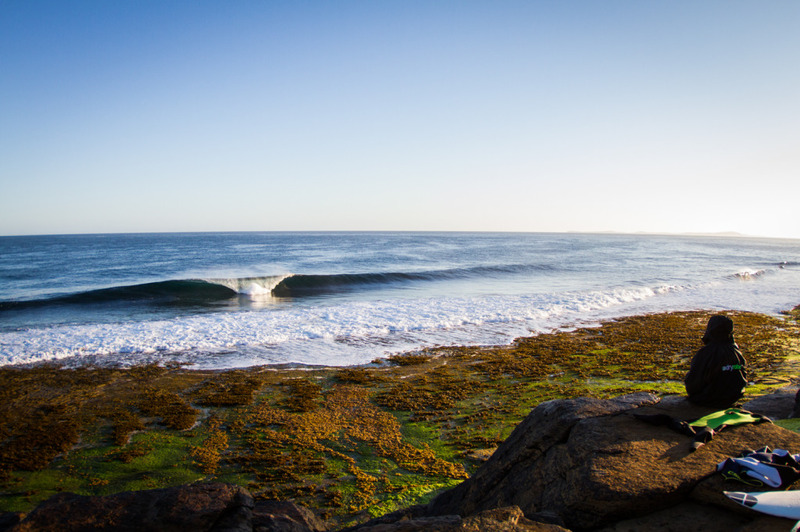 As many who surf this spot will know, if the tide looks to be in the right spot when you’re checking it from the top of the dunes, you’ve probably missed it. After a long trudge down through deep and soft sand, the tide had made some ground and we were greeted by nothing more than standard Cornish burgers washing over a perfectly chiseled sand bank which lay just a few feet too far below the surface. After a last minute call and a flurry of logistical re-shuffles, I joined small crew on a 15 hour car journey as we rushed to meet an unseasonably solid mid-summer swell as it collided with mainland Scotland’s Northern tip. I shot this image moments after stepping out of the car on the first day of our trip, where we were greeted by a moderate crowd, mild temperatures and some perfect emerald drainers. 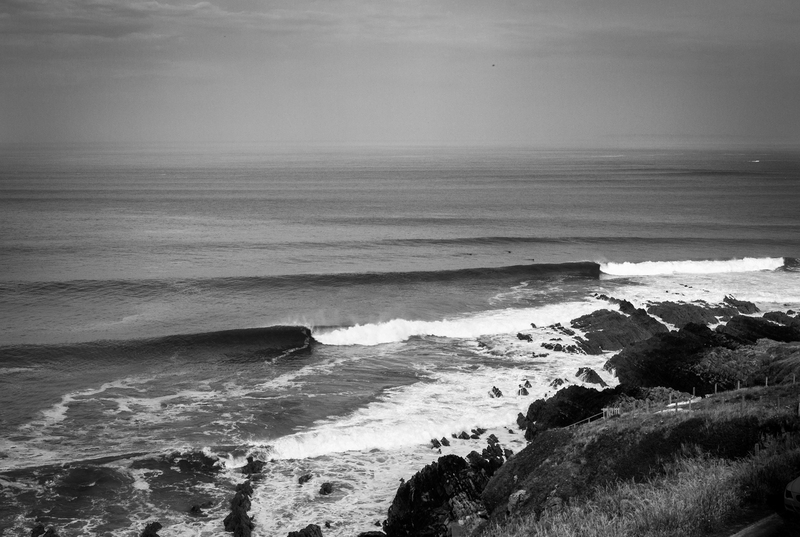 You can see more of this trip in issue 242 of the mag and watch an edit from it here. 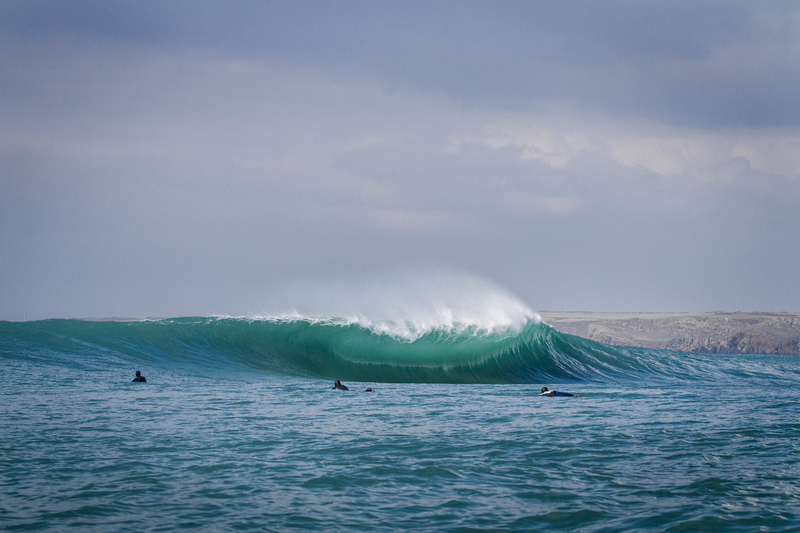 This image, featuring of one of the UK’s rarest and most picturesque waves, was taken during a brief sunny spell on frigid morning last spring. Outside the frame a small crew of UK chargers, a boat and a jet ski are bobbing a metre or so above a jagged outcrop of reef a few hundred metres out to sea. A whole myriad of logistical and meteorological factors had to align perfectly for one eight hundredth of a second to make this shot… and I also had raise my head from over the side of the boat where I had been throwing up continually for about 3 hours. Like many of these stories this one starts with a long drive and a rough sleep in what really should only be advertised as a 1 man pop up tent. This image was taken as dawn broke and the sun finally peaked out from behind a blanket of cloud for a few sets before the tide shifted. 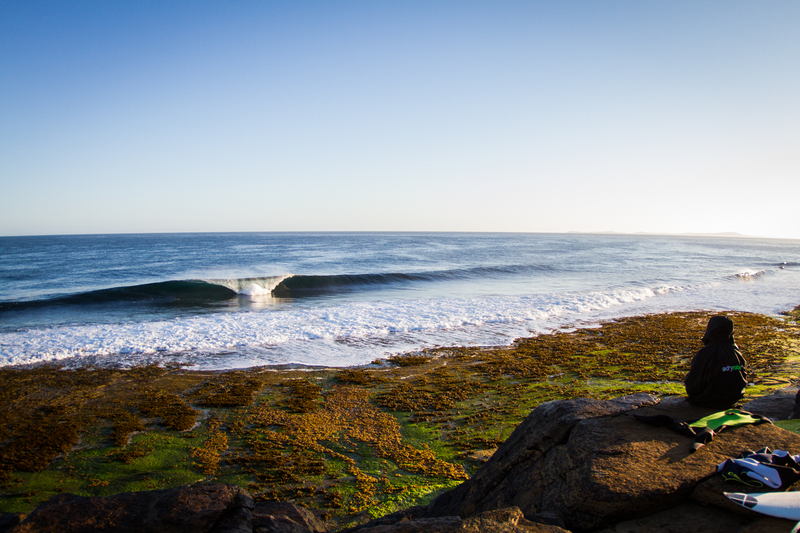 This one was taken on a beautifully sunny winters day at home last January, at everyone’s favourite South Coast reef. 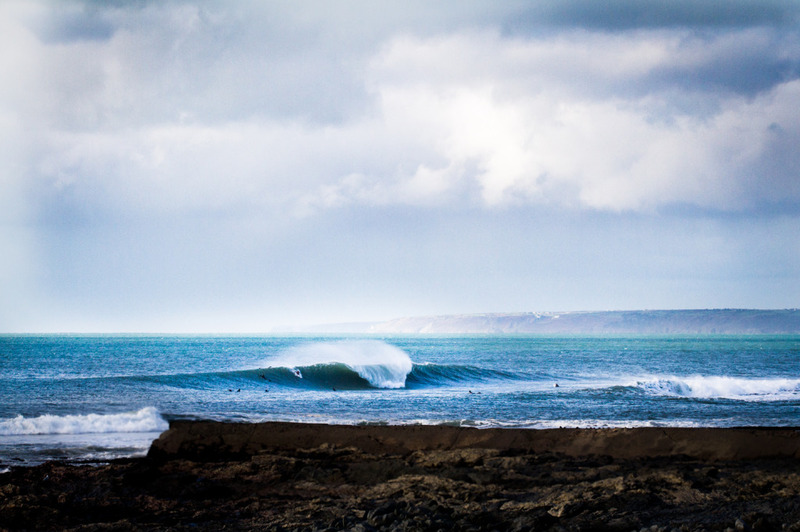 A solid swell groomed by ideal winds made for a classic winter session. 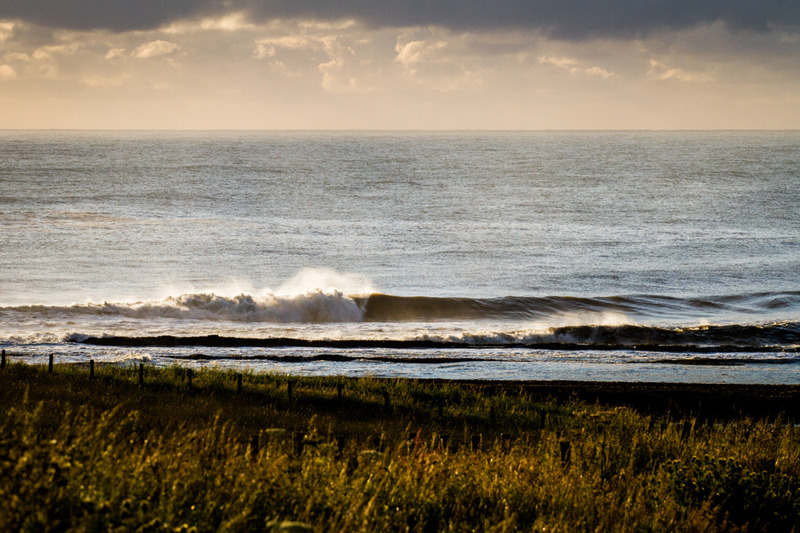 Here’s one of the only right hand point breaks in the area lighting up for a few lucky locals one morning at the start of summer. This was a welcome sight as we pulled up after a long early morning goose chases which lead us on a magical mystery tour around the region, yielding nothing until our arrival at this spot. As soon as this set broke the boys were suited up and down there for a day of carving into long drawn out walls and burning leg muscles. Shot one morning on a remote Scottish Island, this was the first set we saw as we finished our descent down a slime covered cliff face and arrived on a flat bit of rock where we set up camp for the day. Here Matt Williams pauses for a moment to take in the view before suiting up and joining a small group of seals in the crystal blue line up.